Have the August grocery winds caught up with you lately – leaving your finances disheveled and wondering where in the world your grocery budget has gone? According to the Pietermaritzburg Agency for Community Social Action’s (PACSA) Food Price Barometer (May 2017), South African households of various socioeconomic backgrounds do not have enough money to buy the food they need. Also, low-income households prioritise expenses like debt repayments before food expenditure. Food and grocery shopping is indeed necessary, and yes groceries cost a pretty penny these days. But, according to Matthys Potgieter, spokesperson & debt expert at DebtSafe, there are things that you can do when it comes to groceries or food expenditure. Your budget: Indicate the exact amount that you can spend on groceries for each month. “The ideal budget amount for groceries (luxuries like take-out excluded) per head and per month should be between R800 and R1000,” says Potgieter. Remember, every odd month you may have a few extra groceries like cleaning products that need replacing. Thus, prepare and plan for those times. The so called ‘envelope system’: If you tend to exceed your grocery budget, only take the specific cash amount needed with you. Do not use credit or debit cards for your monthly outing to the grocery store to avoid buying what you want and not what you REALLY need. A shopping list: Without a shopping list you are heading for the ‘no entry’ sign and when you’re through it, there is no exit door (to save a few bucks) unfortunately. Planning is essential: Plan your meals two to four weeks in advance and have a lookout for deals (like “buy two for the price of one”), clearance items and other specials on items you need. By planning (like keeping track of your freezer and pantry items) you can avoid those extra trips to the store as well. 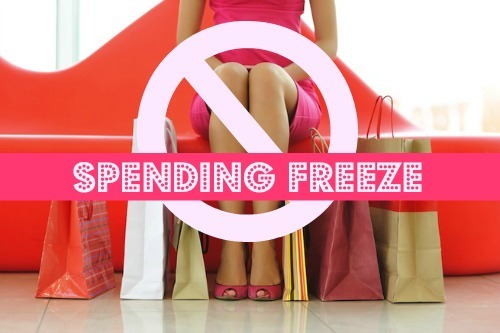 Shop alone: Don’t let the kids for example; influence the amount of items you buy in the end, especially when it is not on the shopping list. Buy & cook in bulk: You can save when buying in bulk – just make sure it really is a good price. And cooking in big batches can also add a few meals to the freezer for the rest of the months’ dinners. No Name brands: Don’t think you won’t save on those No Name beans or tomato and onion cans, it can definitely keep the grocery bill in check. ‘Stretch’ your meat: Think about a Meat-free Monday principle – allowing you to have enough meat for the rest of the month. Also think about dishes like stews where you can buy your meat in bulk and where you won’t need to buy a thick, expensive piece of meat for every person, for example. The little things do go a long way: Remember to take your shopping bags with you, be sustainable. Purchasing bags here and there do add up in the end. And don’t think that the rewards/points you obtain at certain stores (like Clicks, Woolworths or Dis-Chem) don’t really matter. In actual fact, bit by bit you can save a lot in the end. Don’t let groceries blow the wind out of your finances, there are ways to get yourself to stick to your budget. Understandably, your ‘grocery behavior’ will not change overnight but do take the above tips from Potgieter into account. Remember: take baby steps and be realistic.